The maker of your heart knows why it is troubled, so have your faith in Him. As little as it may be, have it in Him and He will strengthen. He will build up. He is full of abundant mercy and grace, and His good pleasure is to minister these to you today and always. Seeing all that troubles the heart, He also knows what it needs in every moment. In His infinite wisdom He will dispense help, comfort, and clarity to the crippled heart that is pressed in with doubt, fear, and anxiety. But, He will do this in His timing alone. He knows. Trust the one who existed before the world began, the one who made the heavenly and angelic host with just a word. Trust the Lord who made you wonderfully for Himself, a precious jewel for His keeping, a prize to be won and cherished. Oh, how He cherishes you right now. He loves you because He wants to. He gave you breath to live. He even gave breath to His only begotten Son, Jesus. He did so only to take it from him again on the cross. Why? 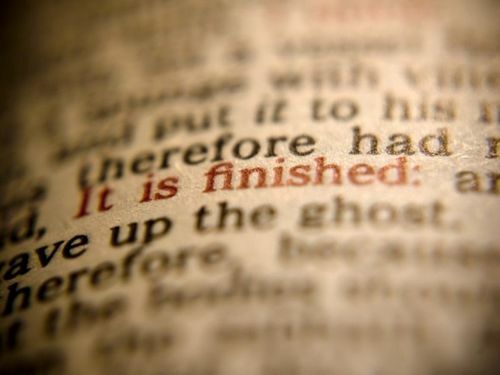 So that having done all to redeem His people, he could breath his last, exhaling these final words of victory;”It is finished”. All you need now is to rest fully in His perfect, finished work. PreviousWe’re Up Against an Ancient “Heart Disease” and There is but One Cure.